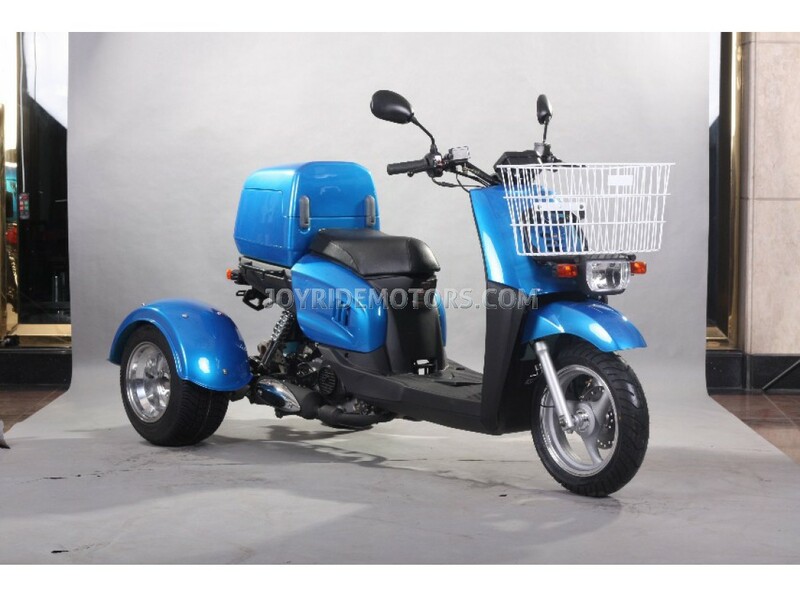 The Metropolis 49cc Trike for sale is an amazing value that is inexpensive but not at all cheap! 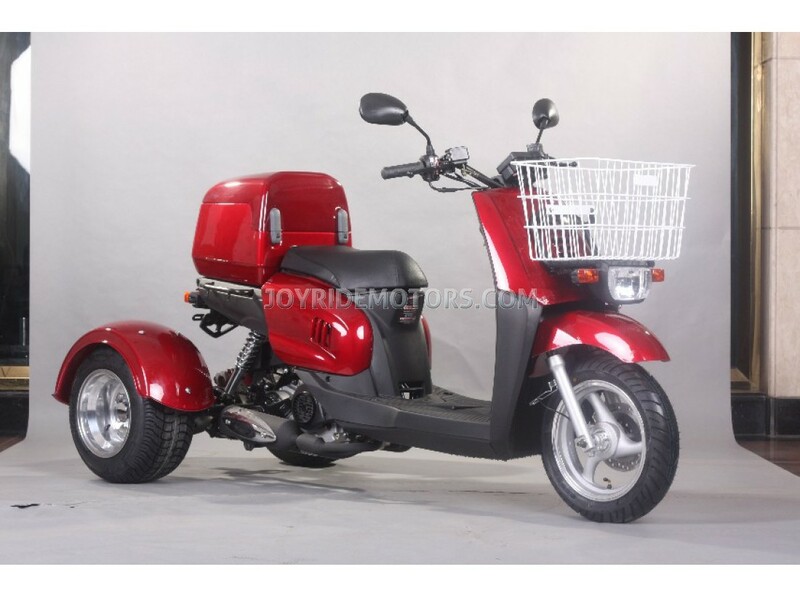 If the photo's, specs and description of the Metropolis 49cc Trike aren't enough take a moment to ask us, or see what our customers have to say... After a decade of experience in this industry, we know you have lots of questions, so just call us at 1-877-300-8707 and we'll be delighted to answer them all :) To see what our customers have to say about us and our products, please click HERE. THE PRICE YOU SEE IS THE PRICE YOU PAY NO EXTRA CHARGES OR FEE'S THAT'S THE WAY WE ROLL! let me first start by saying that i am a 60 year young grandmother of 12, and have never slowed down. All my sons and daughter live in the area, but in different homes, all miles apart, and don't always have time to come pick me up and drop me off just to see the grand kids. When i was young, I was quite the avid bike rider, and in collage i even had a vespa for a few semesters. Now im a bit older, and after Jim passed away, ive been by myself a lot. so to keep in shape i bought myself a 3 wheeled bicycle last year with a big basket behind the rear seat at the local bike shop. Peddling that thing a few blocks to the store and back to the apartment is good exercise but leaves me very tired and flares up my arthritis something terrible. 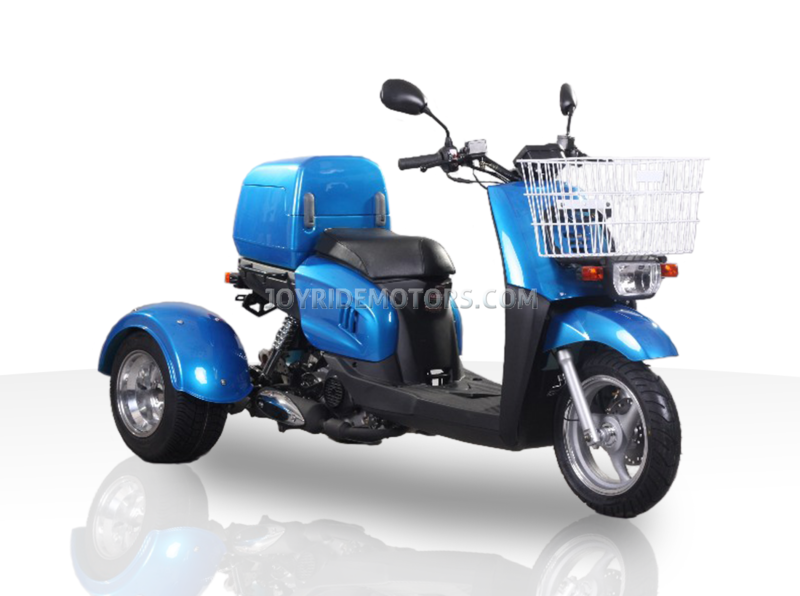 Then my neighbor's son has a scooter, and he recommended i get myself a small 50cc gas trike. i had no idea such things existed! So he showed me this website on his computer, and the dear boy even promised to train me to ride it and put ut together when it arrived. well... you only live once! Truly if it wasn't for Danny, helping me order it, assemble it, and show me how to ride it, i would have never been able to get this far. He's been so excited about all this, that he is helping me write this review, as he thinks everyone should know about my story and wants me to be an inspiration and role model to others. It didn't take me but a fe days to get comfortable enough to ride out of the parking lot at the apartment complex and around the block. Danny was on his scooter next to me the entire time, but soon, i was all on my own. I must say, this gas trike is very easy to operate. just like my moped 40 years ago at school. It balances itself, and does not fall over you sit in it just like a desk chair, and it feels like a bike, without all the huffing and puffing. after a few days of practice with Danny, i was ready to make my grand debut! You should have seen the look on my daughter face when i pulled up in her driveway! My grandchildren think im the coolest granny in the world, and can't wait to see me. My children on the other hand, think i'm out of my mind, especially my oldest daughter. If i would have known that i could get this much concern form her, i would have gotten one of these years ago. Everyone in town is inspired by my hootzpa! when you live in a small town, word gets around fast. during the day there is not much traffic, and no hills. So i get to ride around every day to all my children homes and not be a bother to anyone. I never ride very fast, an far under the speed limit... but i can go everywhere now an I never have to peddle or be tired like i was on my 3 wheeled bicycle. 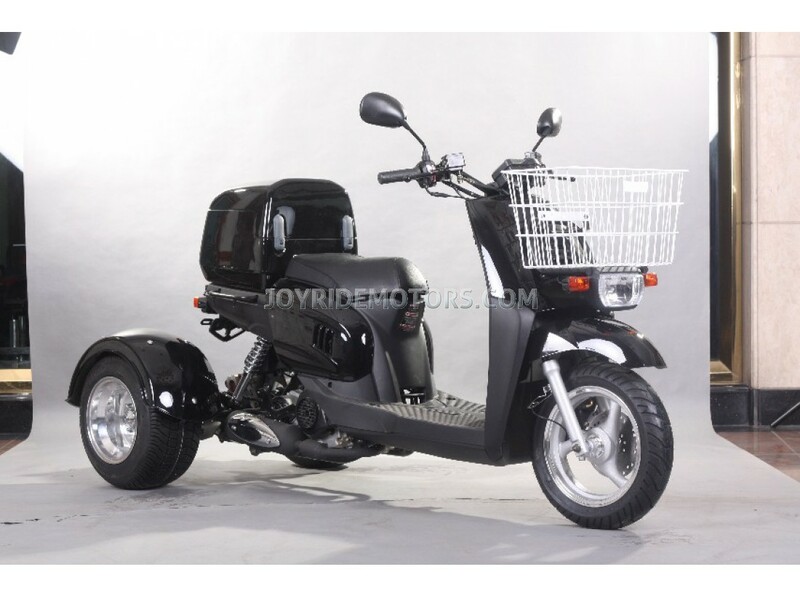 The storage compartment and the front basket give me all sorts of room to carry groceries and my purse and riding helmet and jacket. im told often that I look good in leather! This trike is far more comfortable then even a hover-round, and makes me feel young and full of life, and truly alive again. it's like a time machine in a way, and is keeping me strong and healthy. I may just have to join the gym now that i can ride there anytime i want. thank you joy rides, and thank you Danny. this trike has brought a lot of joy back into my life, and seeing my grandchildren every day at the park, and after school and dropping in on them at their work, has given me an all new lease on life.